The IT Committee acts as an interface between the students and the Computer Centre. The committee is responsible for development of IT infrastructure in NITIE. 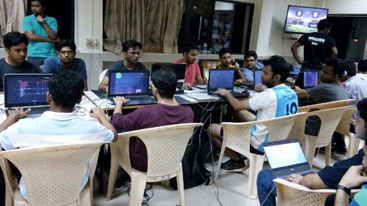 Over the past year, the committee has been successful in implementing advanced technologies like Office 365, Lync for Internal Communication as well as improvement of internet facilities through LAN wiring and Wi-Fi in Student Hostels. The committee is currently coordinating with various vendors to implement new technologies like Active Directory, e-Governance as well as to develop new website of the institute. The committee works throughout the year providing the best-of-breed IT support to the student community and is the first touch point for any IT infrastructure related issues. 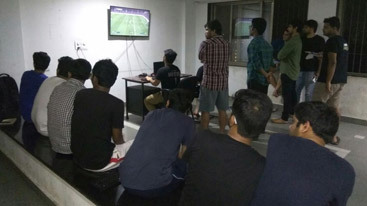 atLANtis, a LAN gaming event was held on 6th and 7th October during Avartan, NITIE’s Annual Fest. 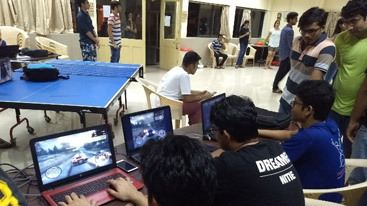 LAN Gaming evets such as Counter Strike, FIFA and NFS were held by the ITCC students. This event saw an overwhelming response with students of many colleges participating in this event.